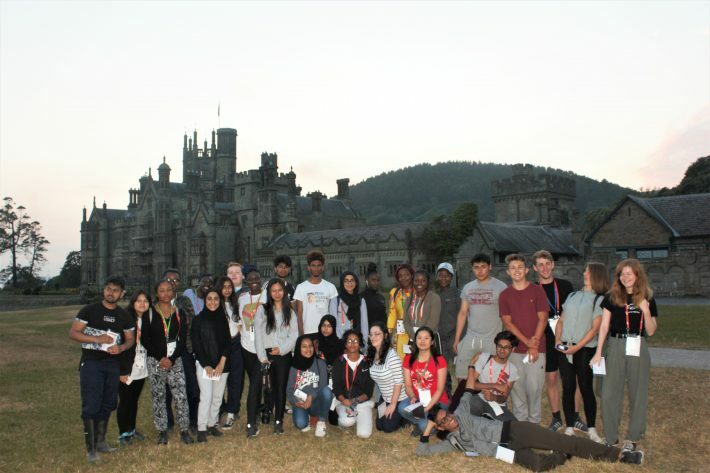 The BES 16-18 Summer School is a week long residential field experience for students studying sciences at A-level, Scottish Higher and other similar qualifications. All travel, catering and accommodation costs for teachers and their students are covered by the BES. In 2018, The John Spedan Lewis Foundation sponsored clothing, waterproofing and other resources so that students were appropriately kitted out for fieldwork. It is a unique opportunity for students to work with and learn from world leading researchers and scientists, students are mentored by undergraduates and PhD students to ask all their questions about applying to university, life at university and the breadth of ecological science and applications to career choices. Teachers are invited to shadow the teaching programme and are offered opportunities to consider how to cascade learning across the school. The summer school is open to all schools and colleges and teachers of all career stages to apply, each school can nominate one teacher and up to 5 students to attend. Students attending the school should be studying sciences and from at least one community of Black, Asian and Minority Ethnicities, low income families or be first in family to consider higher education. Students should be due to move into their final school year in September 2019. The BES ensures all staff and mentors supporting the 16-18 summer school have a valid outdoor first aid certificate, have undertaken safeguarding training and are DBS checked prior to the summer school taking place.